Shake gin and lime juice with ice cubes. Strain over new ice and top with ginger beer. Garnish with a spent lime shell. You may also build a Gin Buck over ice topping with the ginger beer and giving it a brief stir. Shaking will aerate the drink more yielding a slightly weaker final proof for the drink. London Dry gin is the traditional choice as this drink appeared after the switch to this dry style of gin. Experimentation with Old Tom and Holland Gin is encouraged, though. A Gin Buck can also be called a London Buck. If you first muddle mint leaves with a little simple syrup in the serving glass before adding the ice and other ingredients you have a Ginger Rogers. I know gin is made for limes, but I know now that it takes to ginger as well. Here you have the fresh botanicals of a London Dry, the zippy citrus from the lime and the tickle of ginger spice all dancing together. I commend whoever came up with this drink. Ginger ale back in the day was really ginger beer, a stronger, spicier beverage than what is common today. 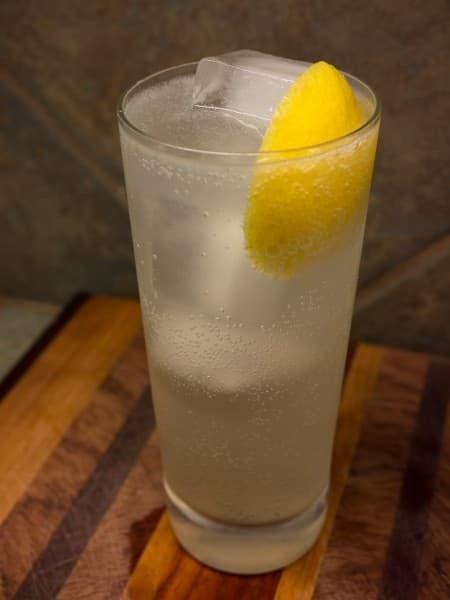 Ginger beer has made a comeback and I think it goes very well in a Gin Buck.